It seems like the Cleveland artist Kid Cudi is still in “Pursuit of Happiness” as the rapper has decided to postpone his upcoming Especial tour to regroup. As most Cudder fans already know, Mr. Solo Dolo is somewhat of a perfectionist towards his craft and production, so it’s really no surprise. He is truly Kanye West‘s original protégé and his live shows are nothing short of amazing. 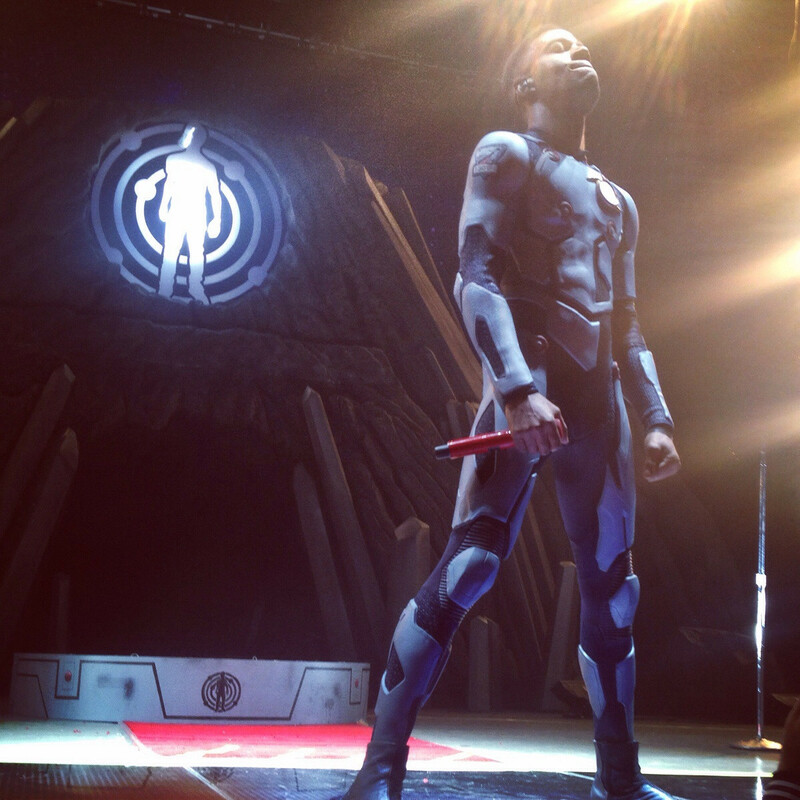 How many artists have you seen perform in a custom tailored space suit? I’ll wait. Cudi released a lengthy message to his Twitter account to announce his unfortunate news. “I got a lot im dealing with at this time in my personal life too and in order for the shows to be the best experience possible as well as keeping my sanity intact, I need to regroup,” he continues. He was set to perform a string of winter dates in December that included stops at Houston’s Revention Center and Dallas’ The Bomb Factory. It appears that the tour will be rescheduled to commence sometime early next year. Cudi’s upcoming album Speedin’ Bullet 2 Heaven arrives in digital format this Friday and in physical form on Dec. 18. Although the rap rockstar decided to cancel his scheduled tour, he thanked his fans for their support and surprised them with a new track (“Speedin’ Bullet 2 Heaven”)’from his upcoming album to make up for the bad news. Check it out below! Kanye West: Innovator or Appropriator?